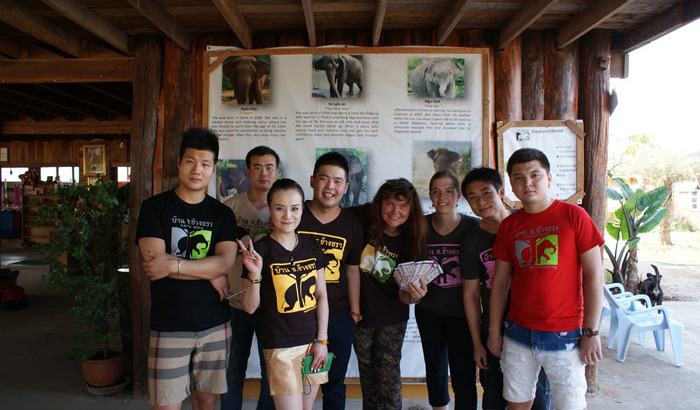 In February we had our first Chinese group ever at ElephantsWorld. Only one of them spoke English so it was a bit of a challenge in the beginning, but eventually we managed to provide them the full daily program with all the relevant information (thanks to some of Rose’s acting skills and the translation of the one guy who did speak a little English). At the end of the day they were all very happy and wrote some wonderful comments in our guestbook. They even made an elephant size donation! For a booking with a Chinese group you can contact Wiesmann (email: linxin2220@sina.cn). China, you are welcome!!! News chinese, elephantsworld, tourists. permalink.